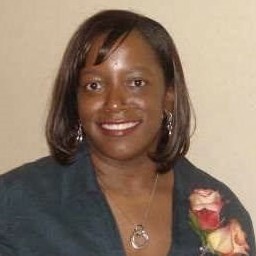 Dr. Shauna Moore Reynolds, Ed.D. Can We All Just Get Along? Dr. Shauna Moore Reynolds builds relationships. Whether families, couples, businesses or organizations, Dr. Shauna is trained to build relationships and communication in order to get people moving forward. PRESENTED BY: Dr. Shauna Moore Reynolds, Ed.D. Effective Conflict Resolution Identify causes of conflict. Describe how diversity and differences can be harnessed. Demonstrate strategies that avoid escalation of conflict. Demonstrate techniques to show empathy and rapport. Problem solve quickly and effectively. Handle customer complaints appropriately. Negotiate a successful outcome. Mediation Define “mediation,” and describe its role in the workplace. Describe the role of the mediator. Explain the difference between mediation and negotiation. Discuss the possible effects of mediation on the workplace. Identify and describe various mediation models and mediators’ styles. Describe how the mediation style affects mediation. Identify and explain some critical issues in mediation. Self-Care for the Working Professional To recognize and clarify the demanding nature of mental health work. To identify the advantages of psychological self care. To reflect on individual coping strategies. To map personal and professional resources. To draw up a personal action plan to maximise resources for good psychological self care. Teambuilding: Building a Successful Organization Collaboration: A key element of any successful teams is how well the team collaborates together. Communication: A team which communicates well will achieve far more than one which doesn't. Change management: Change is necessary in every team on an almost continual basis. Problem solving: Like Change problems will always arise in any businesses and every team. Flexible thinking: The ability to be flexible is a vital skill within every team because there will always be new challenges and tasks arising. Morale building: No one wants to work in a team which has low morale. Trust: A team which doesn’t trust each other will struggle. Vision: The ability to see the bigger picture. Delegation: Delegation is more common for team leaders and managers as they delegate tasks. Lean Thinking: Not wasting resources is really important to every business. Conflict Resolution: In most teams, sooner or later there will be some element of conflict.